As life gets more scheduled, it’s become imperative to me to make sure that self-care and down days ARE part of the plan. In our American culture though, we are taught to feel guilty for anything that involves taking care of ourselves. It’s selfish, correct? Not so! It’s imperative to take care of our physical, mental, emotional, and spiritual body each and every day. These are some tactics I’ve used and am expanding and how they’re helping me. Maybe some or many of these are able to factor into your lifestyle, too! #1: Sleep- I write about this A LOT. However, I’m not so sure it’s quite sinking in and it’s quite underrated by many people. The most important feature to this is the rhythm of the sleep cycle. The compound effect of late nights up past 11PM really throw the body into a tailspin and then we’re dragging for days. It impacts the body’s ability to reset, repair, lose fat, and perform. In turn, food cravings rise, metabolic hormone signaling is impaired, and then a whole host of issues sets in. This isn’t just from one time. It’s from the long-term impact over weeks and months. Sleeping in a pattern in bed by 10PM is really what our bodies command! #2: Training Rest Days-We are not created to always be ON. We need rest days from heavy lifting and cardio to repair. This is also when the muscle tissue repairs and grows back bigger. We grow on the days OFF! Due to that, I’ve embraced those days and see them as critical for progress and for being able to get to other areas of interest in my life, too! #3: Days of Unavailability-I have designed my work week to have Fridays unscheduled from training clients, client check-ins, and phone calls. I do use this day for administrative work and research, but I also use it for lunch dates, getting a massage, or allowing blocks of time in the day to just be. If you’re always available 24/7, while that might look good to others, you’ll eventually be empty, too. You need days to yourself, to care for yourself, to be alone. Then you’re better able to take care of others long term, too! #4: Morning Walks- In my moments of contest prep, I was spending lots of time on a cardio machine, indoors and under artificial lighting early in the day. By accident, I was without a machine when we traveled and instead found myself utilizing the great outdoors more. Due to that, and to save drive time to the gym, my husband and I developed a plan to get up daily and get in our morning walk thru our neighborhood. We often get to catch the sunrise, we walk up and down hills, get fresh air, and get time among the trees. Better yet, on the days I don’t get to do this to launch my day, it just does not feel the same. THIS. This is my new normal. Now, what to do when the cold weather comes? I’ll have to layer up and go! #5: Sunlight-Getting sunlight on my body daily is also critical for health. Vitamin D deficiencies are real and stem to America’s practice of being indoors all day long, all year long and missing the value of natural light on the body. Our circadian rhythms depend on access to sunlight and when we don’t get it routinely over lots of time, the body breaks down. So walking is a great way to get outdoors, to move, AND to get the sun on the body. Even a sit in the sun is beneficial, too! #6: Yoga- I’m practicing Yoga twice weekly at a studio near me called Flourish in Fishers, Indiana. 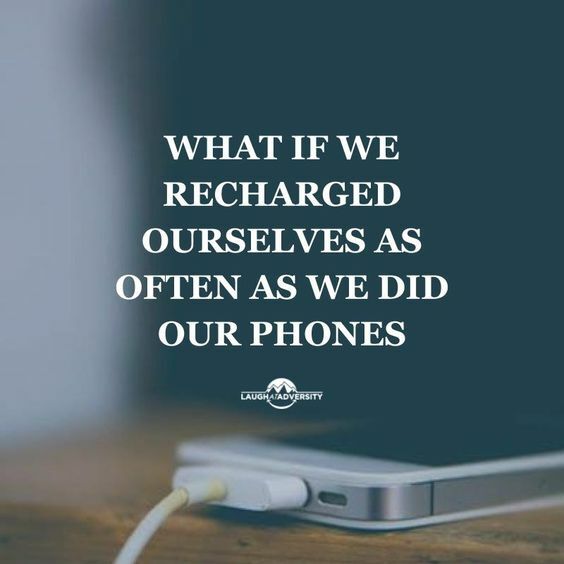 This has enabled me to connect with the parasympathetic side of my body (the rest and digest) and balance the sympathetic side (the charge and go). If we’re always in “Go Mode”, the body will break down. So I aim to keep the balance and the practice of Yoga has really given me that. #8: Reflexology-This method is new to me and I’ve had one session with a practitioner. There are thousands of nerve endings in the hands and feet and they are the map to our bodies, coming down from the organs within. This session felt much like a massage, but the focal point was on the mapping of the hands and feet and what the “read” of each of those areas was telling us. Oh the human body is so amazing! #9: Gardening- I love getting outdoors and this again helps to get in that Vitamin D. We’re also able to connect with nature, God’s gift to us that we so often miss when our heads are down or our to-do lists consume us. We have a vegetable garden my kids operate and I enjoy maintaining my annual flowers on a daily basis. Even a few minutes of watering and dead heading the plants is healing to me. Additionally, I’m working to reestablish my perennial beds and look forward to expanding them this fall. #10: “No, thank you”-Saying this as often as possible helps us get to all of the above. I do believe in volunteering and giving back and certainly have my commitments, but we also need to remember we are in charge of what gets our attention and where we give the minutes of our day. If you’re giving too much and can’t get to any of the above, then moving number 10 of “No, thank you” to number one is going to be most beneficial down the road. Working on these strategies takes time and your list of unplugging and simplifying will look different than mine. I will say that it does NOT have to happen all at once. I have evolved this over the years and it’s still going to ebb and flow. Additionally, what I need now in this season of life, I will need differently in the years to come. So I’m excited to see what changes and evolves as I age! Overall, give yourself permission to make it to a spot on your own to-do list. The absence of you on that list will be the beginning of your systemic breakdown. What you have to offer the world is important and ultimately we need you well to live out your life’s call!